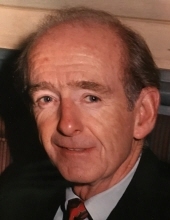 Celebrating the life of William Ira Longcore, Sr.
Obituary for William Ira Longcore, Sr.
William (Bill) Longcore, Sr., beloved husband, father, grandfather, and great-grandfather, and friend to all whom knew him, passed away on Monday, January 21, 2019. Dad was 88 years young. Born in Newton, NJ on October 15, 1930, one of three sons to Ira and Pauline Longcore Sr., Dad married the love of his life, Jan, on February 5, 1952; they spent more than 60 years together until Mom’s passing in April, 2016. Never far from each other, they enjoyed travel; participating in civic organizations, including the Pacers senior citizens club in Slate Hill; and most of all, family. Dad was a career member of IBEW Local Union #363; throughout his life, he proudly identified himself as a union electrician. Upon retiring from the union, Dad worked for the Dormitory Authority of the State of New York for an additional seven years. Dad was a 50+ year member of both Middletown’s Phoenix Engine Company #4, and the Elks Club. Throughout his life Dad made friends in all his pursuits. He was self-effacing, generous with his time and expertise, and quick to tell a story. Mom and Dad never missed an occasion to spend time with their family; be it birthdays, graduations, playoff ball games, weddings or Christmas celebrations, Mom and Dad were always there. Dad is survived by his son, Bill Jr. and wife, Gail of New Woodstock, NY; and his cherished grandchildren: Daniel and his wife Ashlee, and great-granddaughter Kathryn, seven months old, of Charlotte, NC; David and his wife Amanda of Lebanon, PA; and Emily and her husband Kaelin, of Alexandria, VA; as well as many loved nieces and nephews. Dad spent the last seven weeks of his life in New Woodstock with Bill and Gail. The opportunity to care for Dad in the final days of his life were a unique privilege for which we are very grateful. While in New Woodstock, Bill was in the care of Hospice of Central New York, to whom we are exceptionally appreciative of the incredible care given to Dad. Angels do walk among us; those whom work at Hospice are among them. Visitation will be from 2-4 p.m. and 7-9 p.m. on Thursday, January 24, 2019 at Applebee-McPhillips Funeral Home, Inc., 130 Highland Avenue, Middletown. A funeral service will be held at 11a.m. on Friday, January 25, 2019 at the funeral home. Burial will follow in O.C. Veterans Cemetery, 111 Craigville Road, Goshen, NY. Donations can be made to Hospice of Central New York, 990 Seventh North Street, Liverpool, NY, 13088, in appreciation for the selfless work that they do for all whom find themselves in need of care at the end of their lives. Arrangements are under the direction of Applebee-McPhillips Funeral Home, Inc., www.applebee-mcphillips.com. To send flowers or a remembrance gift to the family of William Ira Longcore, Sr., please visit our Tribute Store. "Email Address" would like to share the life celebration of William Ira Longcore, Sr.. Click on the "link" to go to share a favorite memory or leave a condolence message for the family.